I wanted to make sure that everyone knows that our school hours on Friday, October 5th will be the same as normal. Some schools are having to change hours of operation due to teachers taking time off to attend a rally for education. We do anticipate a larger than normal number of teachers out on Friday afternoon, however, we have lined up substitute teachers for all of those teachers, allowing us to keep our school hours the same this Friday (9:00-3:45). Have a wonderful weekend everyone and Go Rockies!!! Join us for our next general PTA meeting at 6:00pm Tuesday Oct 9th! Mr. Atonna will be providing us with his principal update and information on the ongoing teacher professional development and training. Questions will also be answered about Colorado Amendment 73. Babysitters and snacks will be provided for the kids. Please RSVP here. We hope to see you! Join us at Brightmarten, a new neighborhood gem for Restaurant Night! 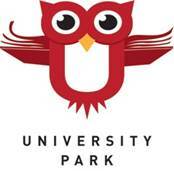 Today, Thursday, October 4th from 5:00 - 9:00pm, Brightmarten will donate 25% of ALL sales to UPark. Please be sure to mention UPark to ensure donation and bring your family and friends for a fun night out! Click here for more information. Mark your calendar for the UPark Fun Run and Carnival on Sunday, Oct 28, 2018 from 11:30am-2:30pm. This is a fantastic school/community event. Click here for more information. We are looking for a dad(s) to lead the Dad's Grill this year. The dads have always volunteered to grill the day of but we would like to have a lead to help with planning/coordinating for the day of the carnival. We will also need parents to help with putting together registration packets on Thursday, Oct 25th (more info to come). Click here to volunteer or email funrunvolunteers@uparkelementary.org for more information. You can now go online to register for the fun run and carnival here. Please note that if you want to guarantee a t-shirt in the size ordered, it is best to order online prior to Oct 22nd. Online registration will be open through Monday, Oct 22nd. After that date, you will need to register and purchase tickets & t-shirts (limited sizes available day of event) at the carnival. Our next committee meeting with be held on Wed, Oct 10th at 9am at the picnic tables on the school playground (or teachers lounge if cold outside). Thank you to our sponsors: Orangetheory Fitness (Cherry Hills), Evolve Martial Arts, Parkside Remodeling, Dartmania, ABCNannies and Angeltouch. Let's get running! Gearing up for the Fun Run, the before school running at UPark will start on Monday, October 15th and finish on Friday, October 26th. Kids will run on school days only (no school October 19, 22 & 23). Please volunteer to help before school. Meet us at the school track right behind the garden near the baseball fence. Younger (grades K-2) kids will earn charms for each lap completed and older grades will run laps to earn prizes. We'll be passing out charms for the younger runners and hole punching for the older runners. Lots of fun! Sign up HERE to help. OH MY APPLES...We have a winner! Thank you for all your donations during the month of September. The "anonymous" winner of our September raffle is taking home over $250 in prizes! Thank you to all who donated so far, but we aren't finished yet! We're only 1/2 way to our goal of $70,000. Our other promotion is still going through November 9th. The grade with the most number of donations will become "Apple All-Stars" and win a party for the entire grade. All you need to do is donate! It can be any amount - $10, $100, or $1000. Check out the PTA board on the playground and see how well your grade is doing. Click here to make your donation online or you can bring cash or check to the main office.